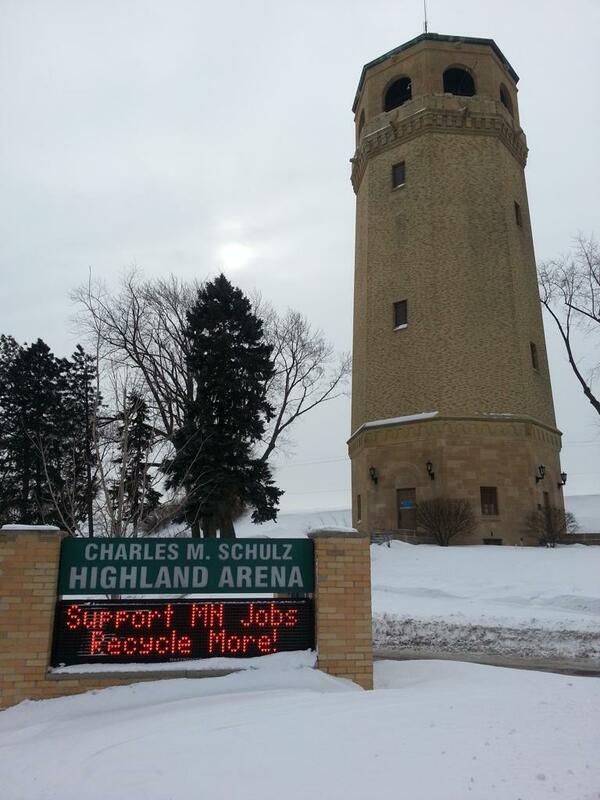 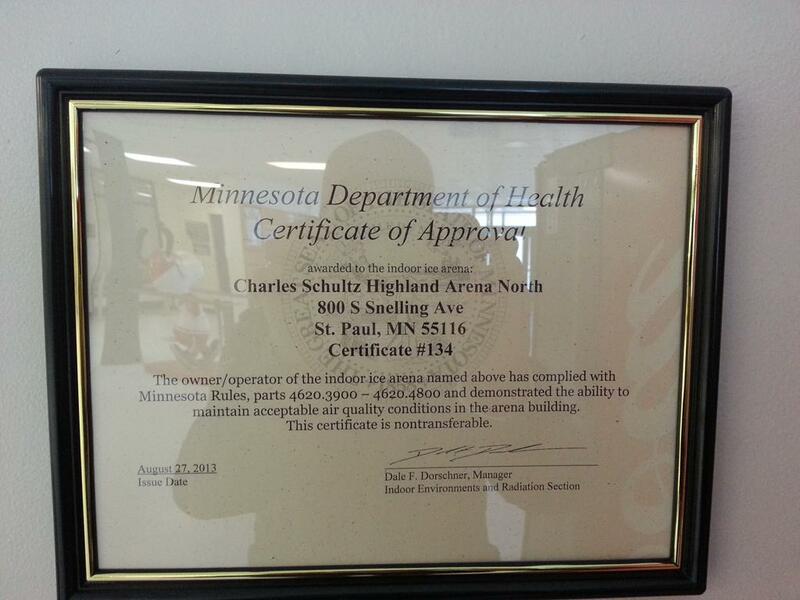 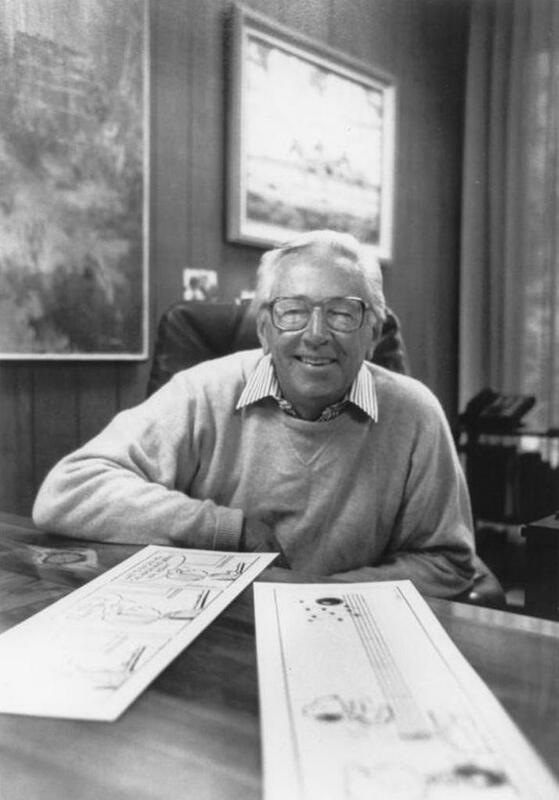 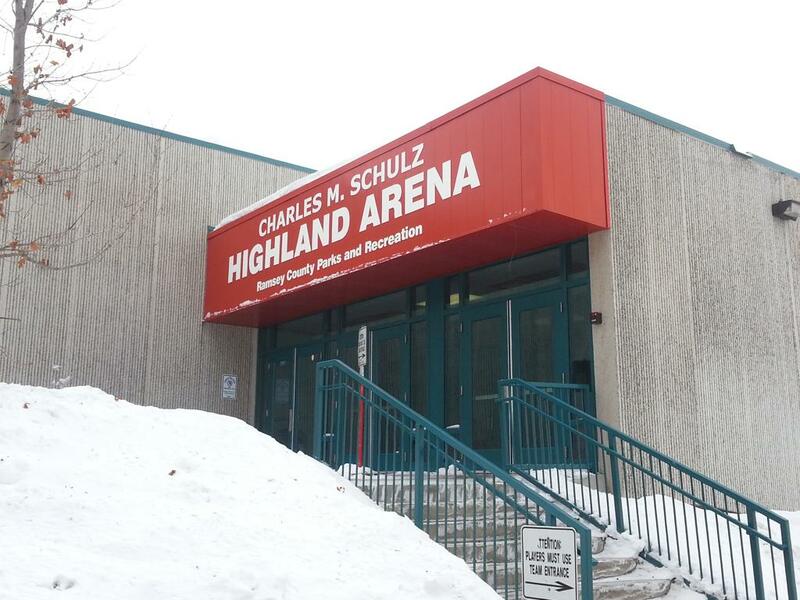 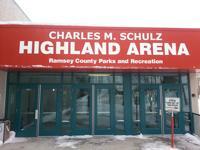 Charles M. Schulz - Highland Arena is located at 800 S. Snelling Avenue in St. Paul near the highland water treatment facilities. 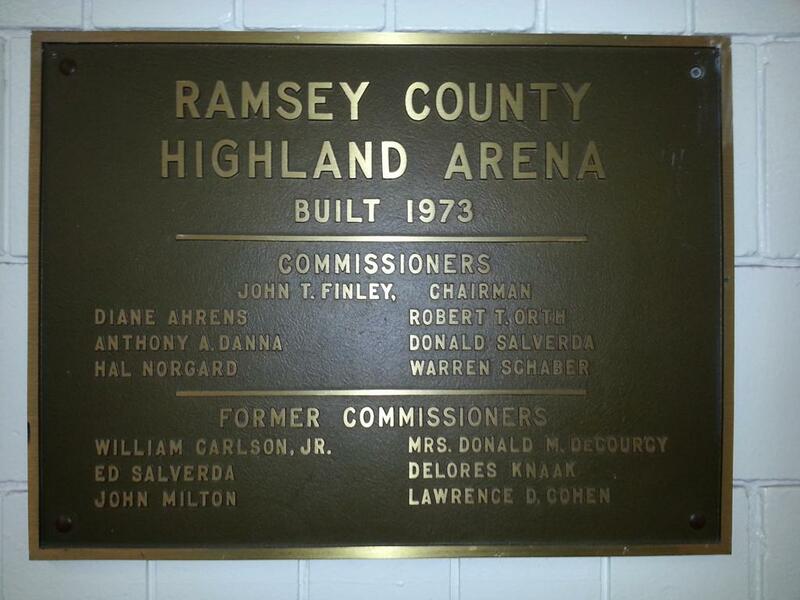 Highland Arena is one of the numerous 1970's erected Ramsey County arena's that opened it's doors officially in 1973 with one sheet of ice. 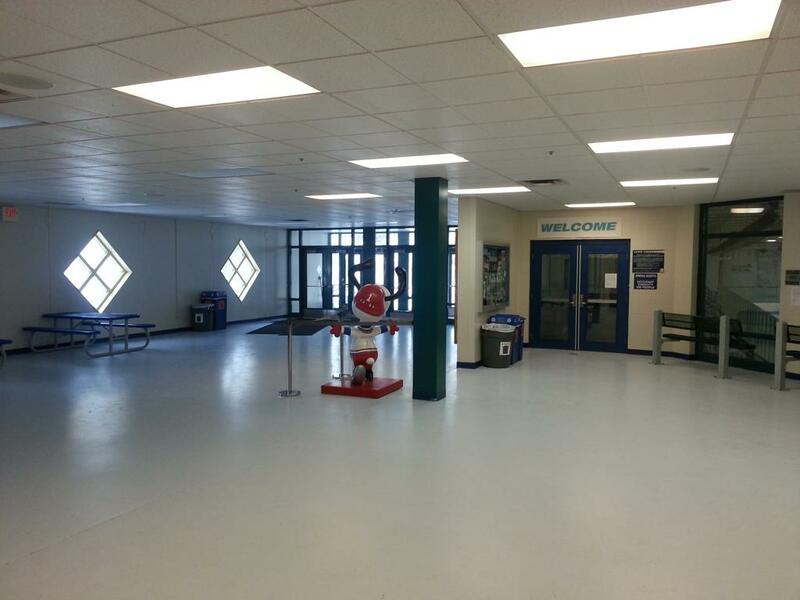 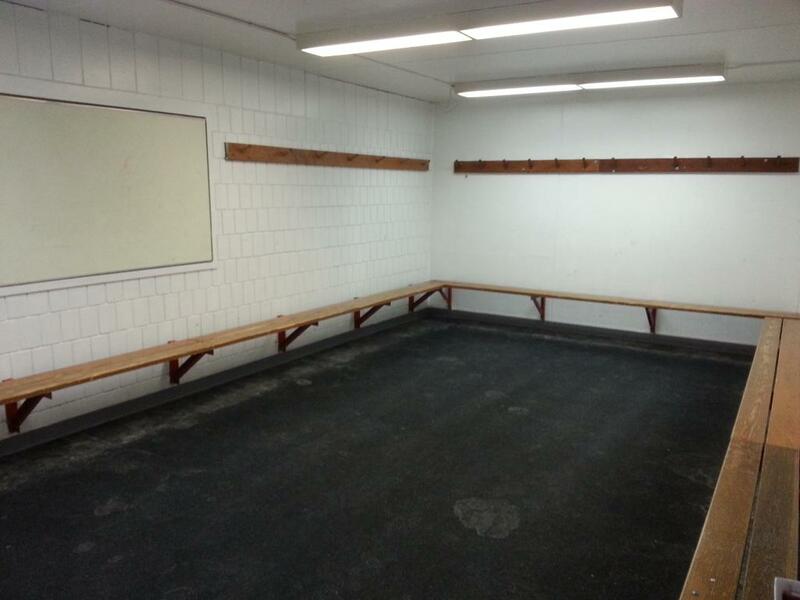 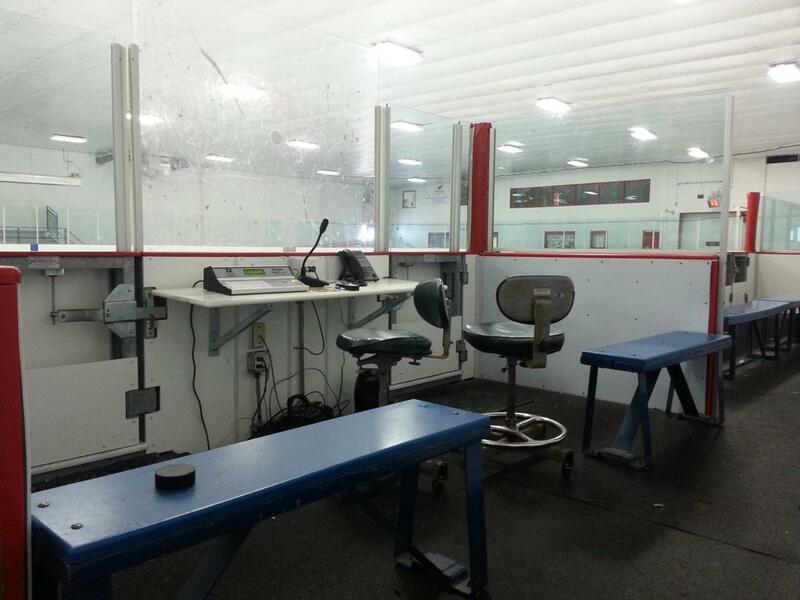 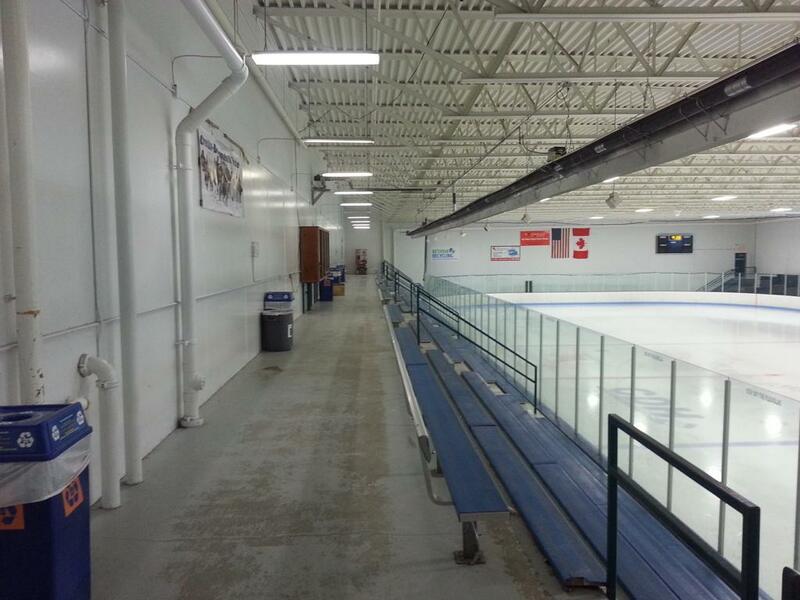 The original arena, aptly named South Rink is a bare-bones "no frills" classic with a small lobby upon entering the rink, and tiny makeshift locker rooms, and is a very cold arena with excellent hard ice in the winter months within Minnesota (Notice the broken puck in the shown images from the cold). 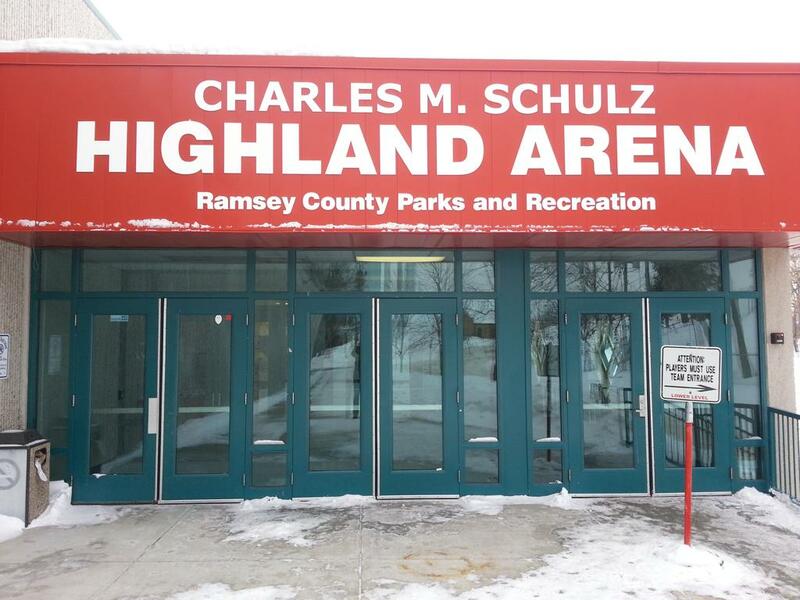 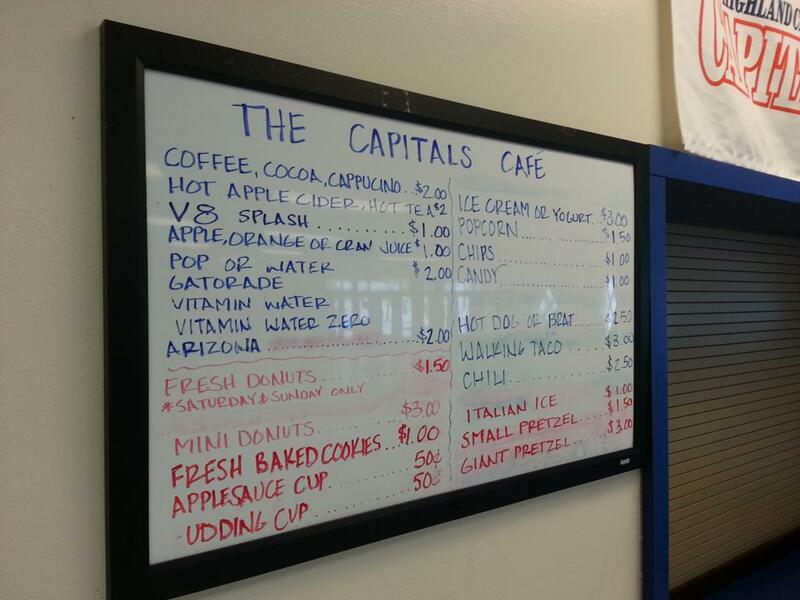 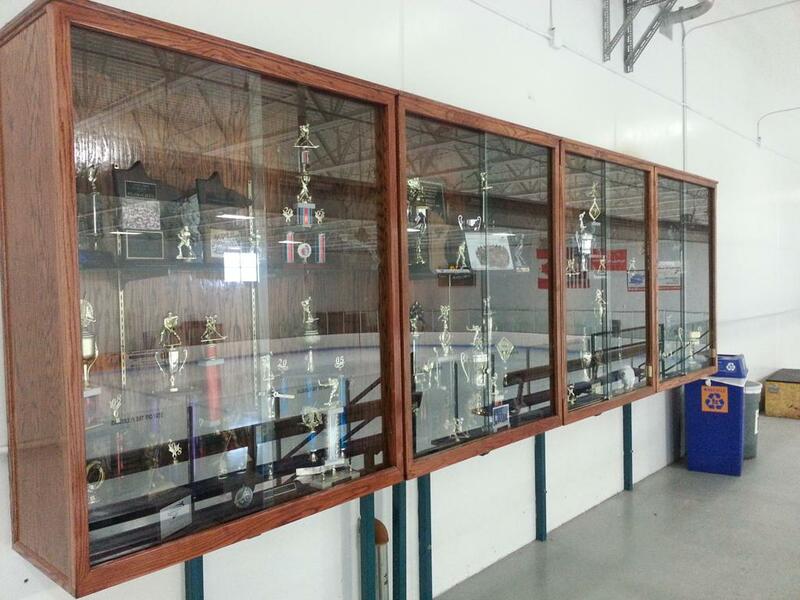 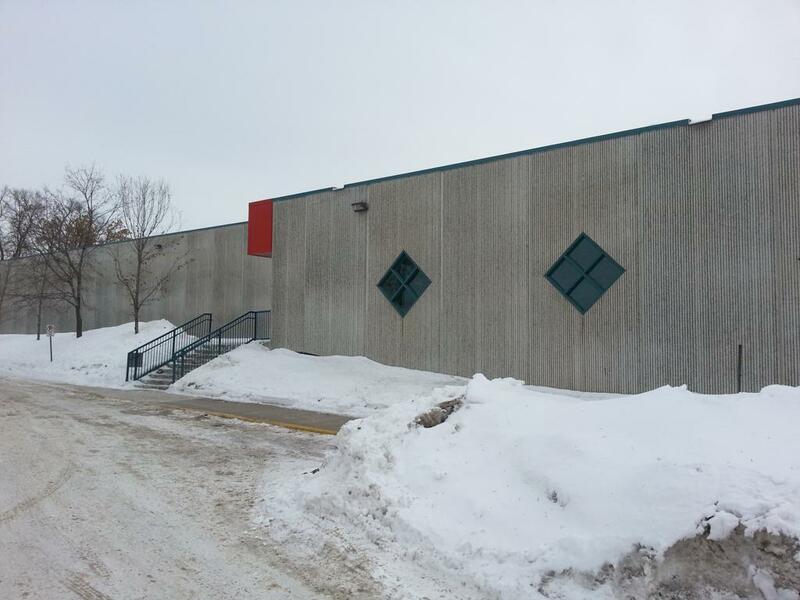 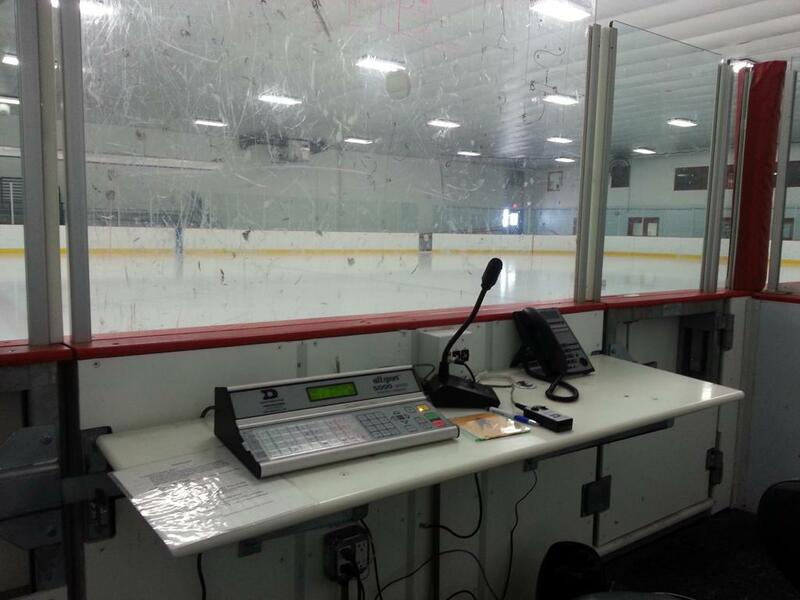 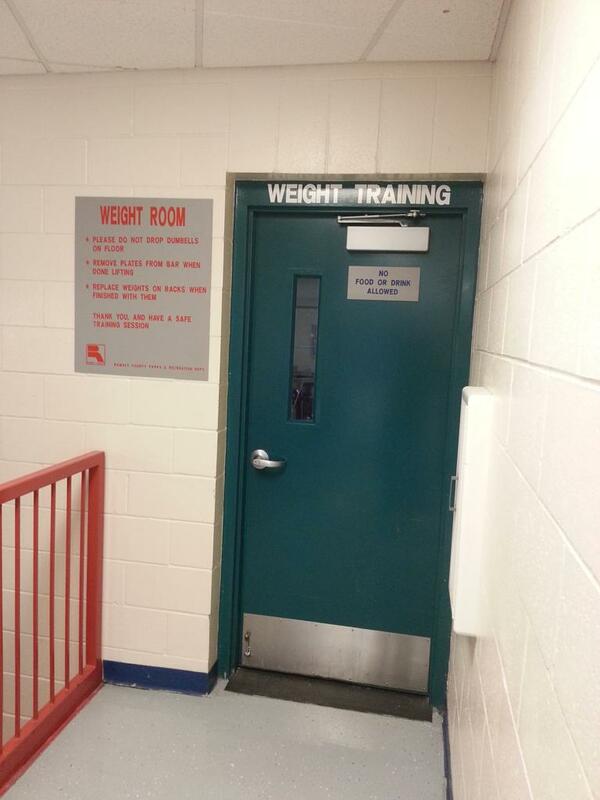 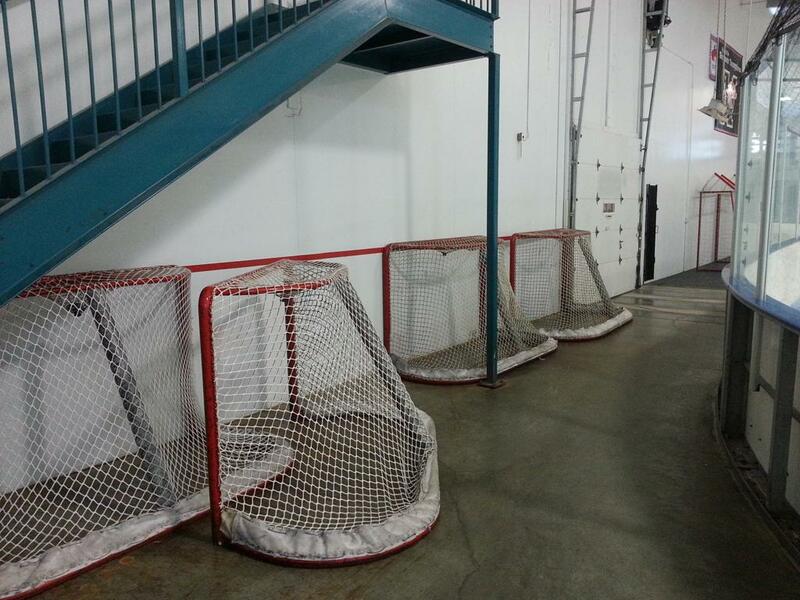 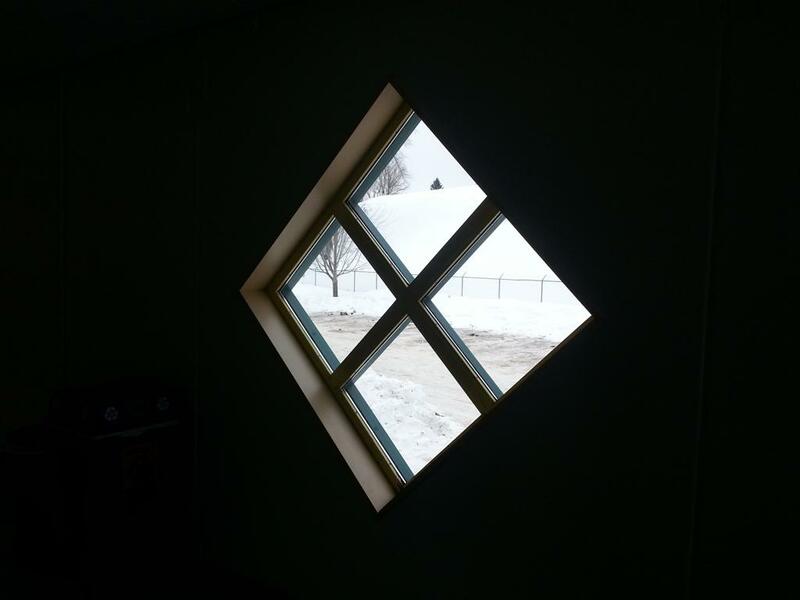 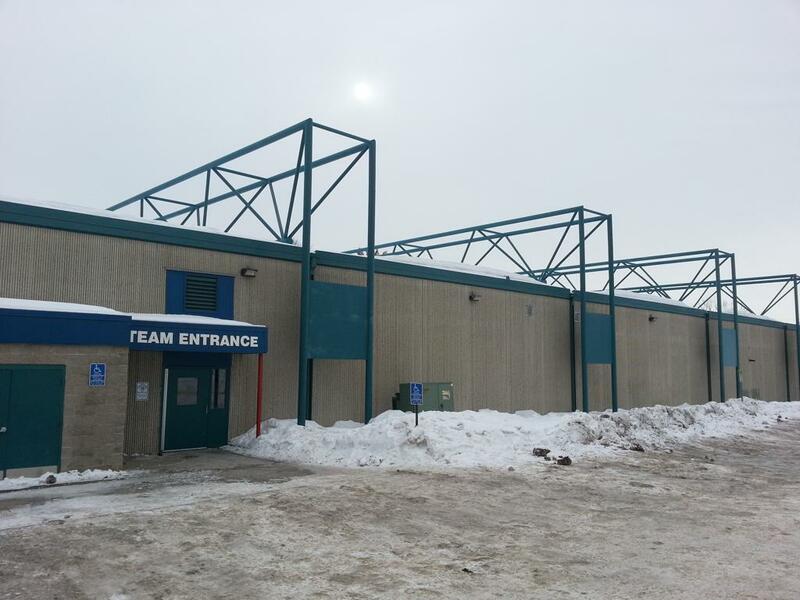 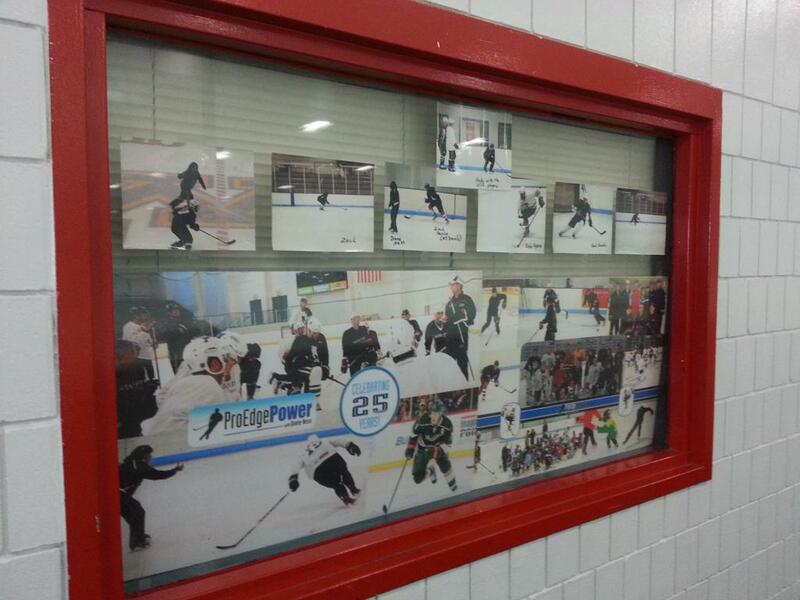 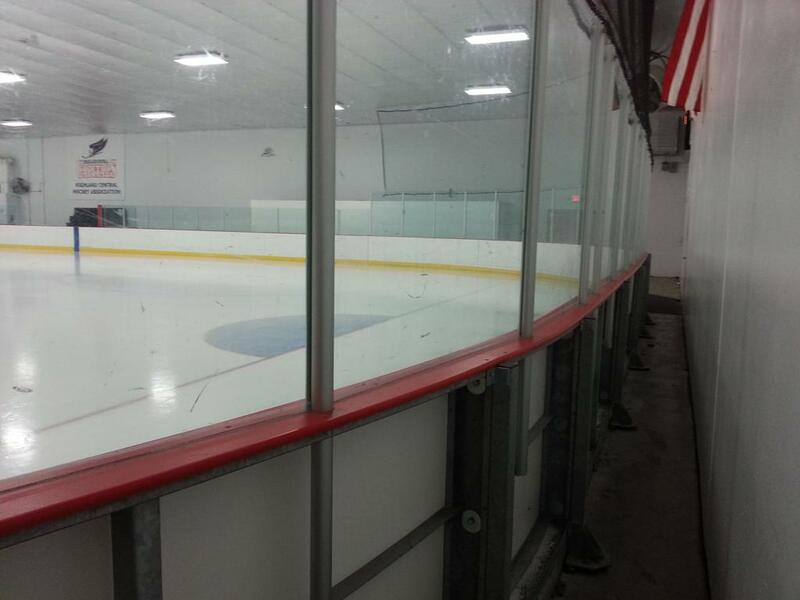 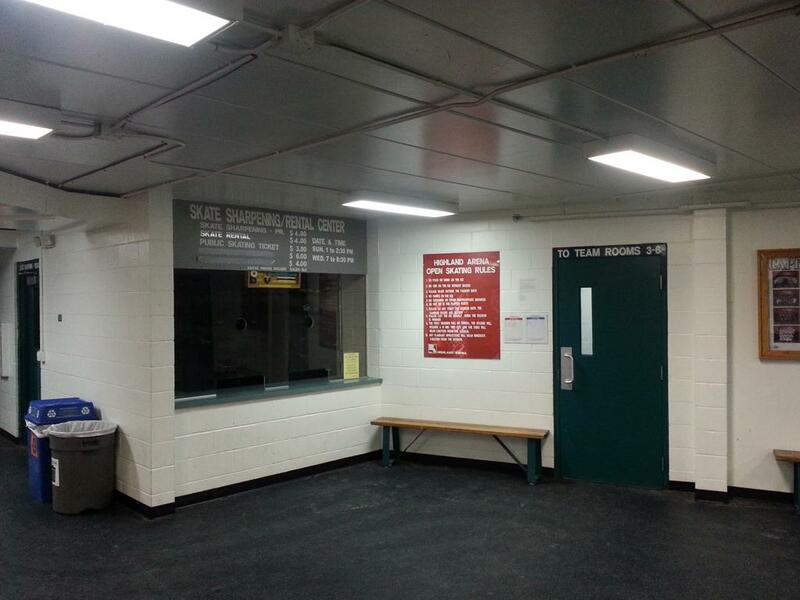 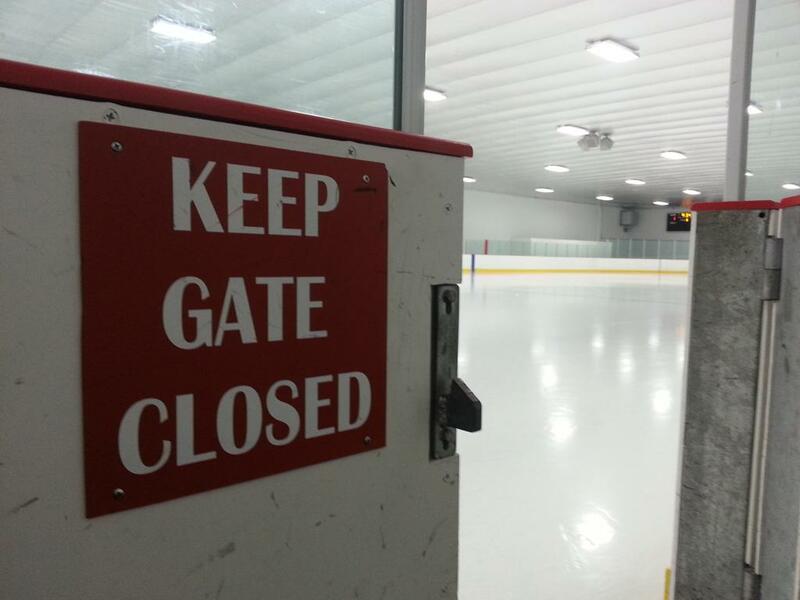 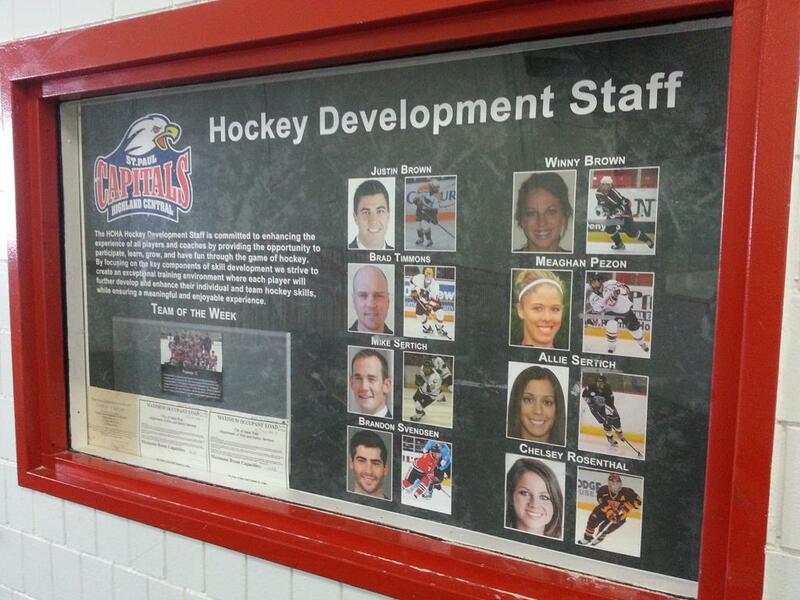 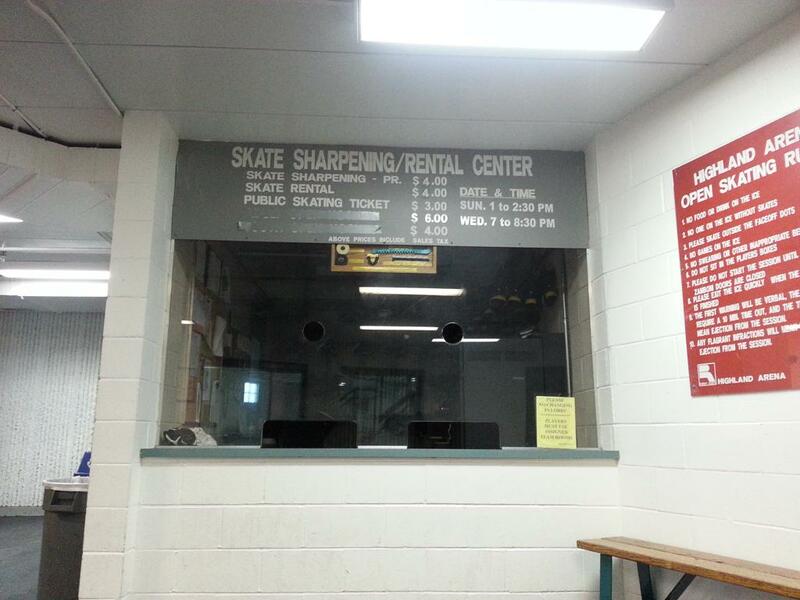 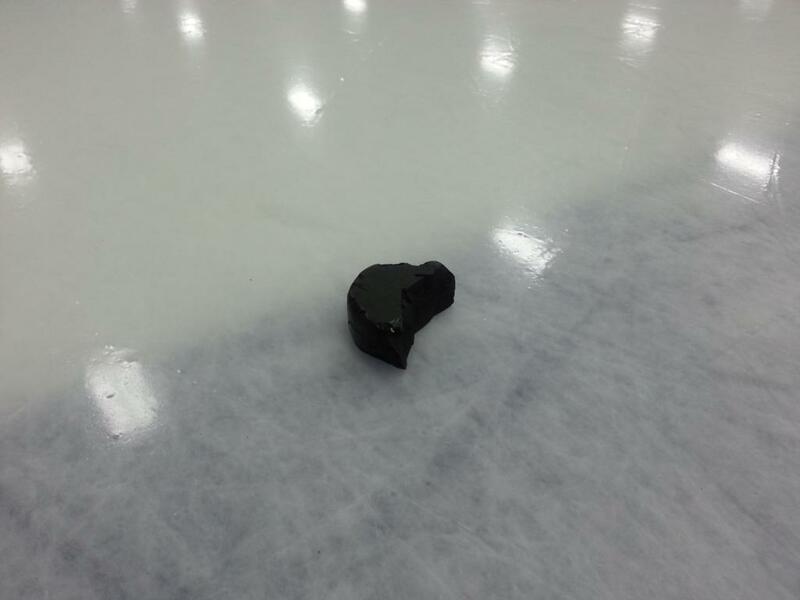 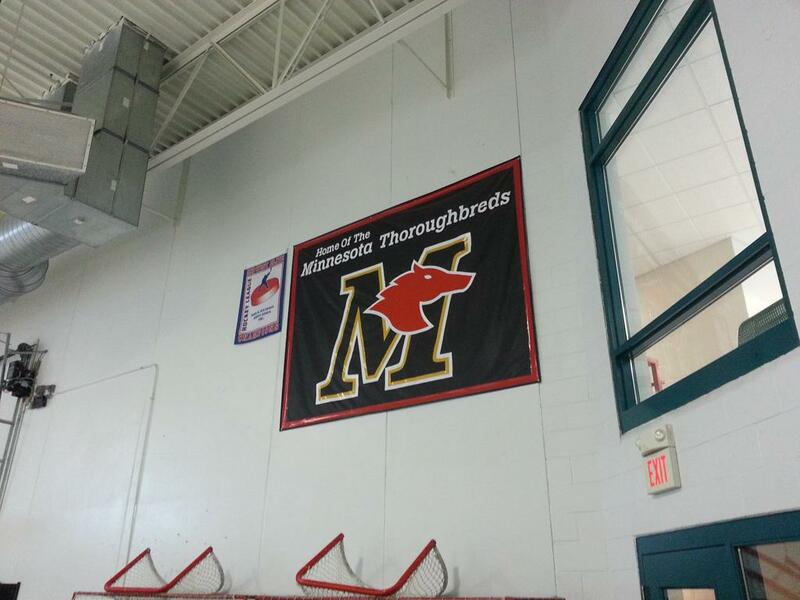 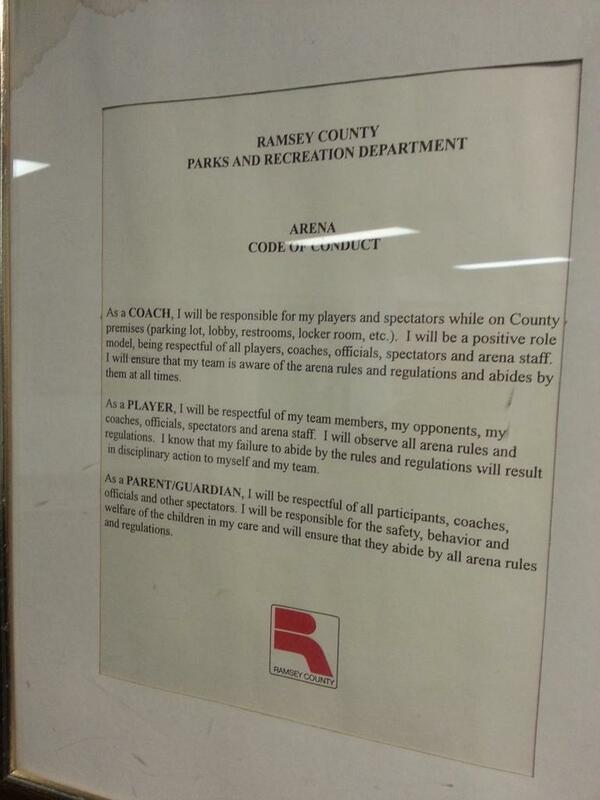 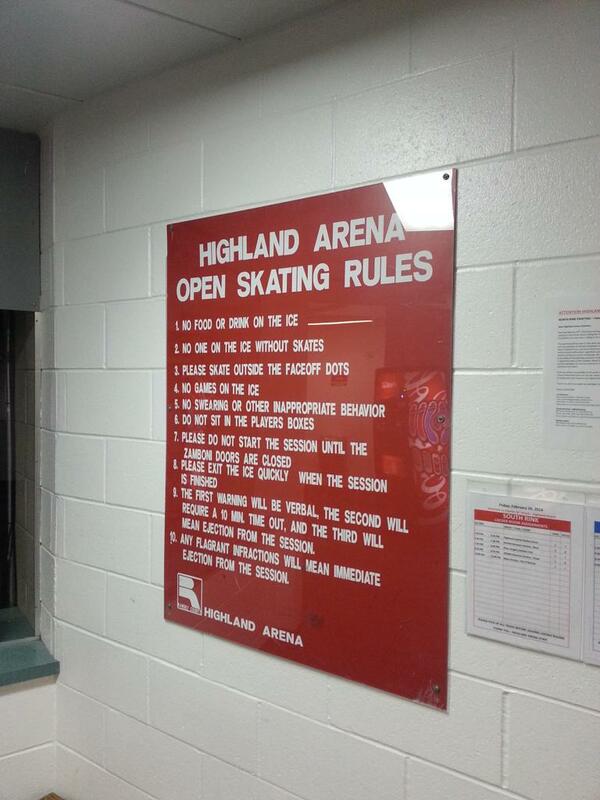 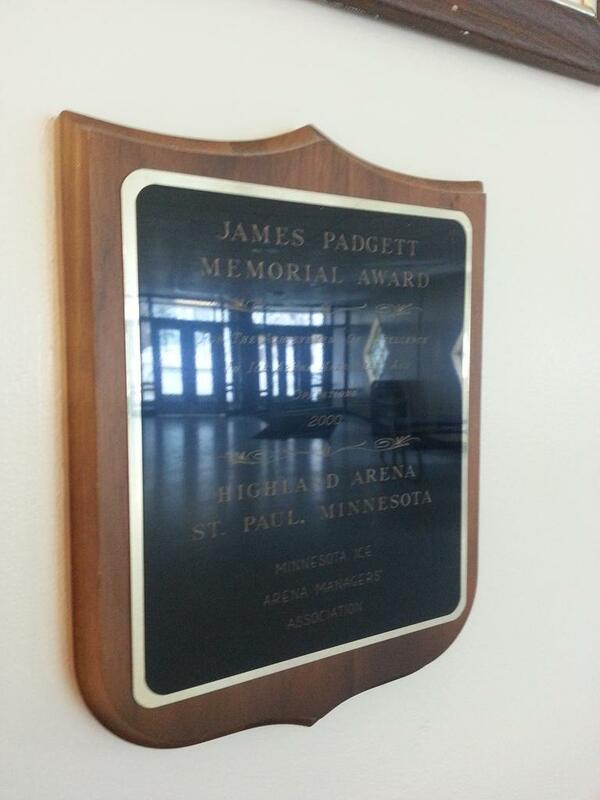 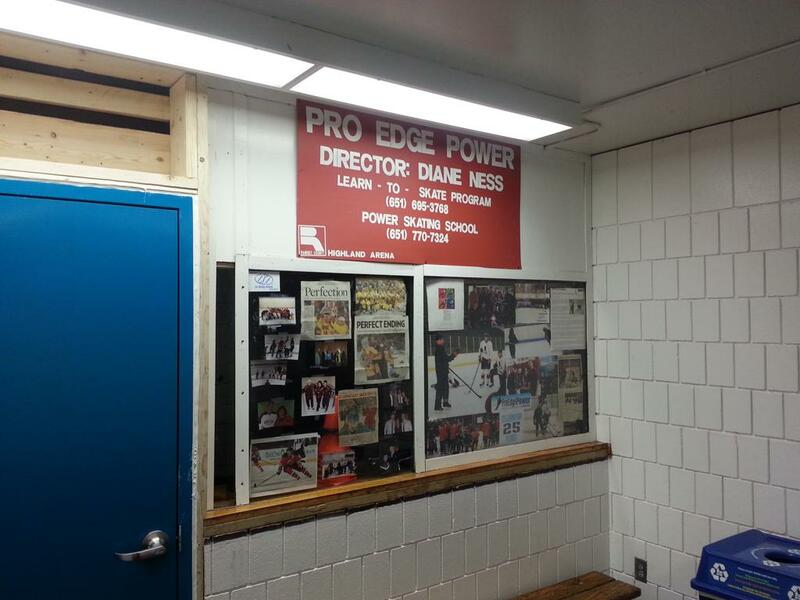 In 1998, the adjacently connected North Rink was added to the structure at Highland Arena - and was dedicated in 2000 by the Ramsey County Board after they voted to honor long-time Peanuts comic creator Charles M. Shulz, whom was an avid hockey fan himself. 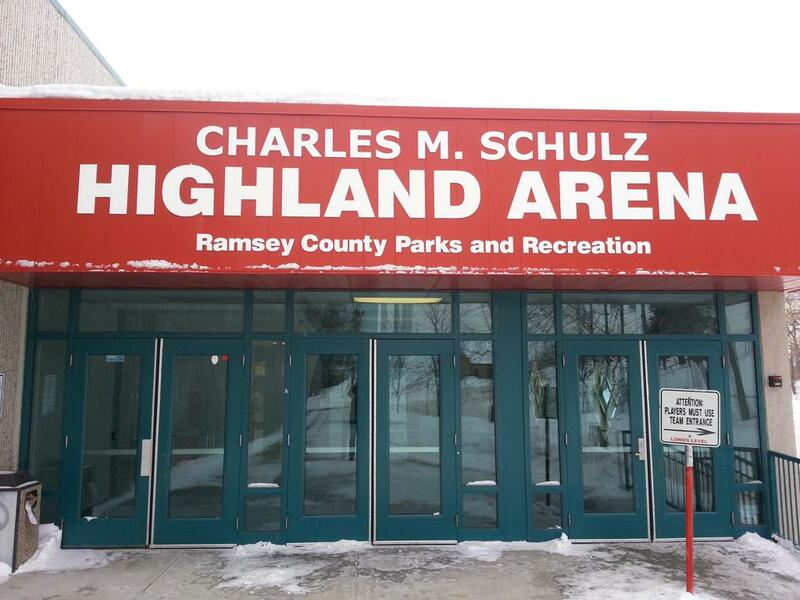 Even though Schulz was born in Minneapolis, he grew up in the city of St. Paul and attended St. Paul Central High School where he graduated in 1940. 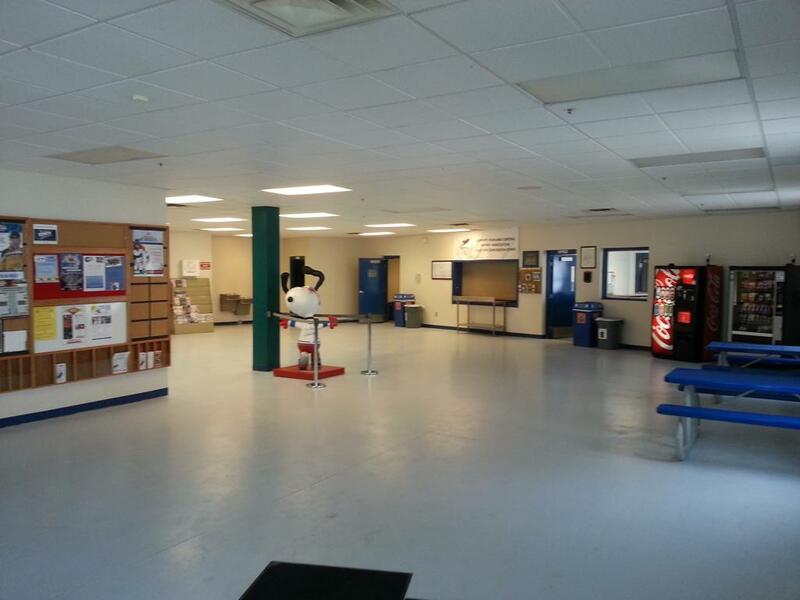 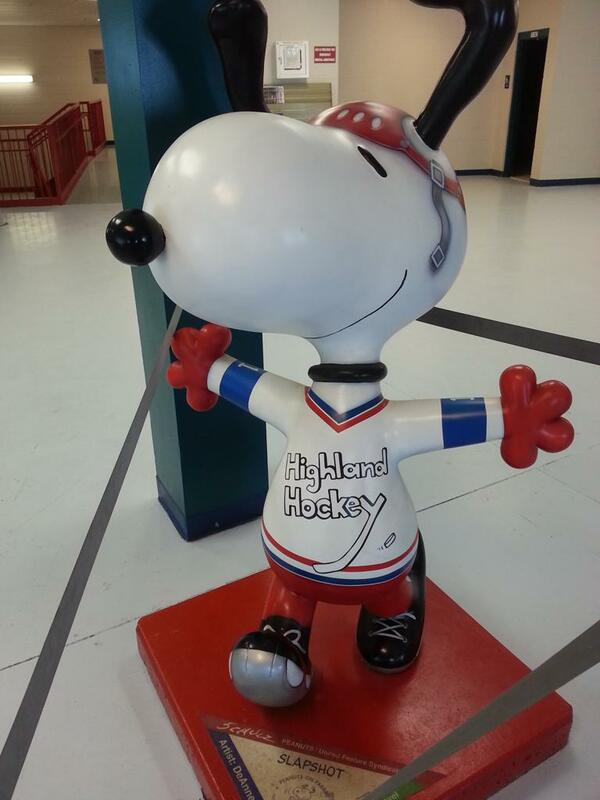 A special Peanuts on Parade Highland Hockey Snoopy statue stands proudly in the lobby of the arena. 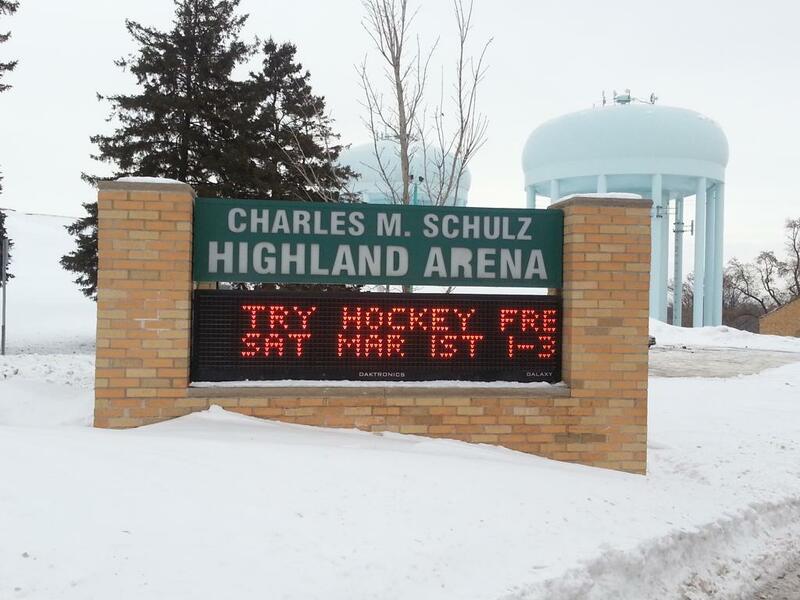 Schulz and the Peanuts comic strip have always been embraced by Minnesota, and the city of St. Paul as a hometown comic. 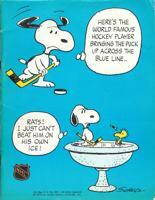 His iconic Peanuts characters in Snoopy & Woodstock were shown playing hockey on woodstocks frozen over bird-bath, and was commonplace in "Sunday funnies" for decades. 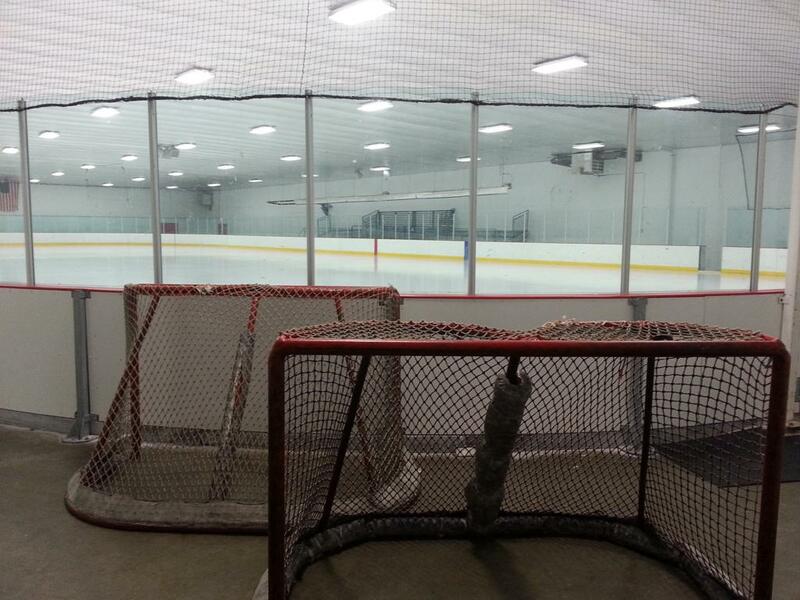 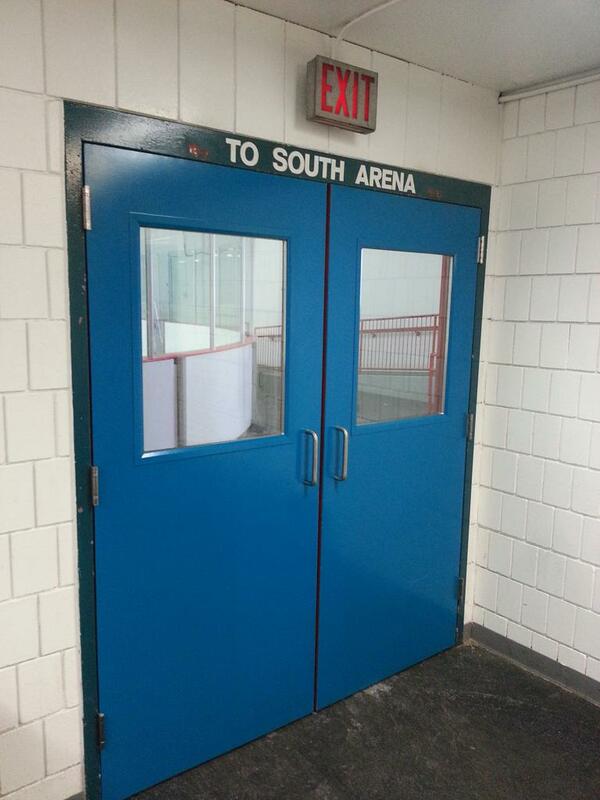 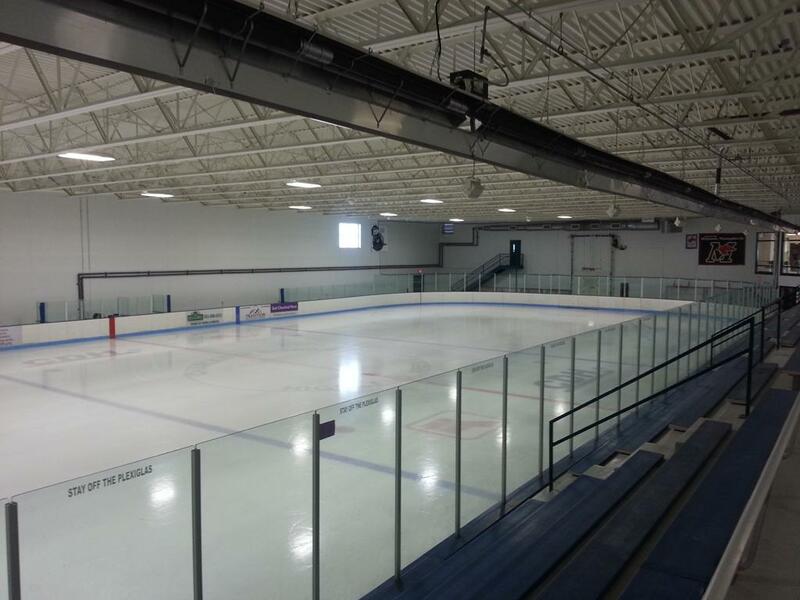 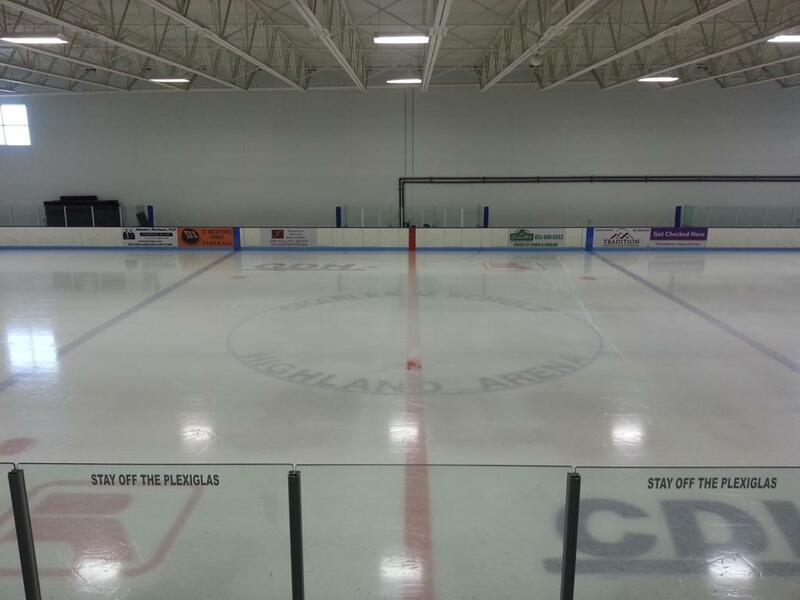 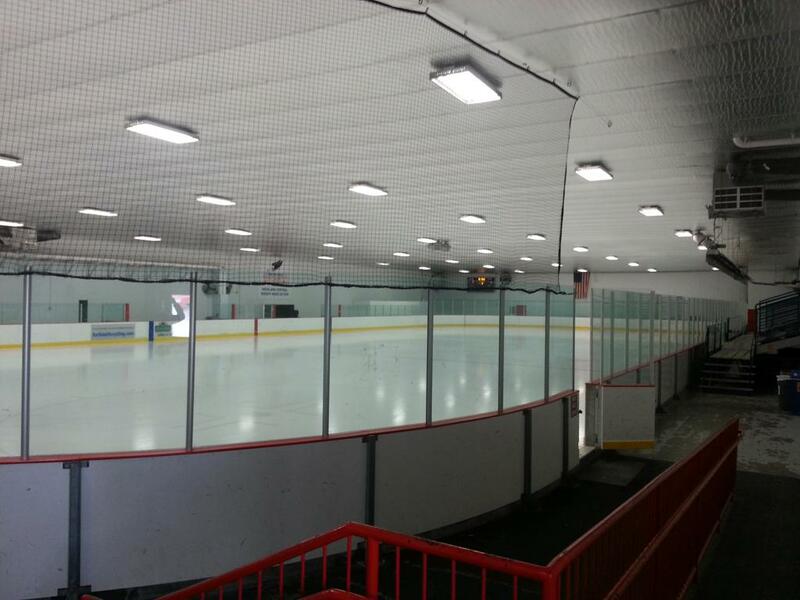 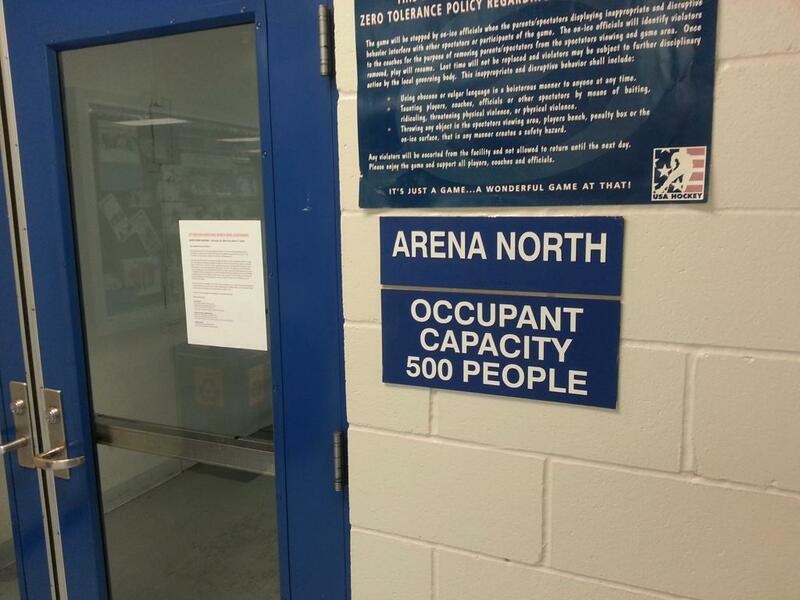 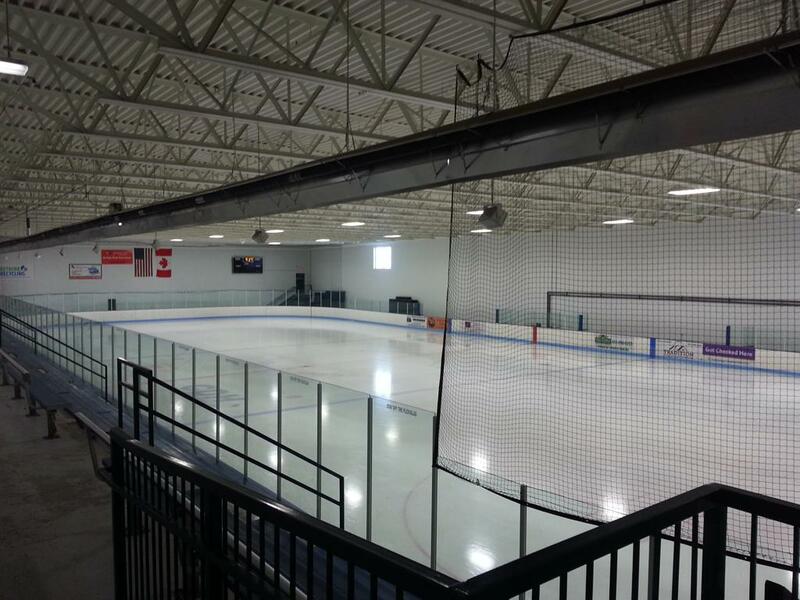 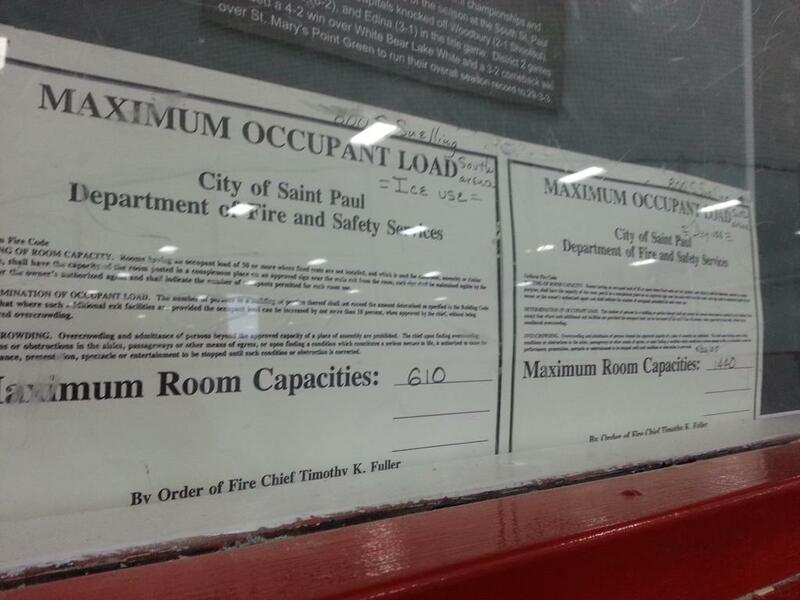 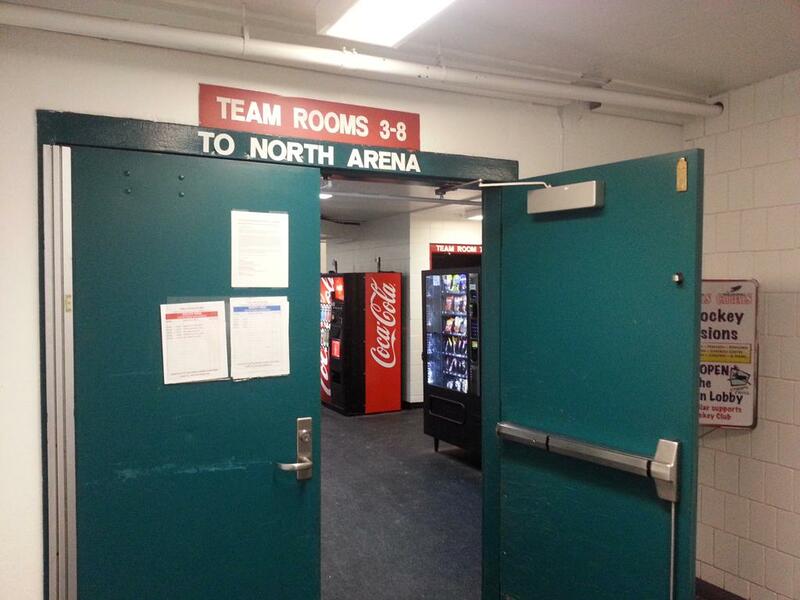 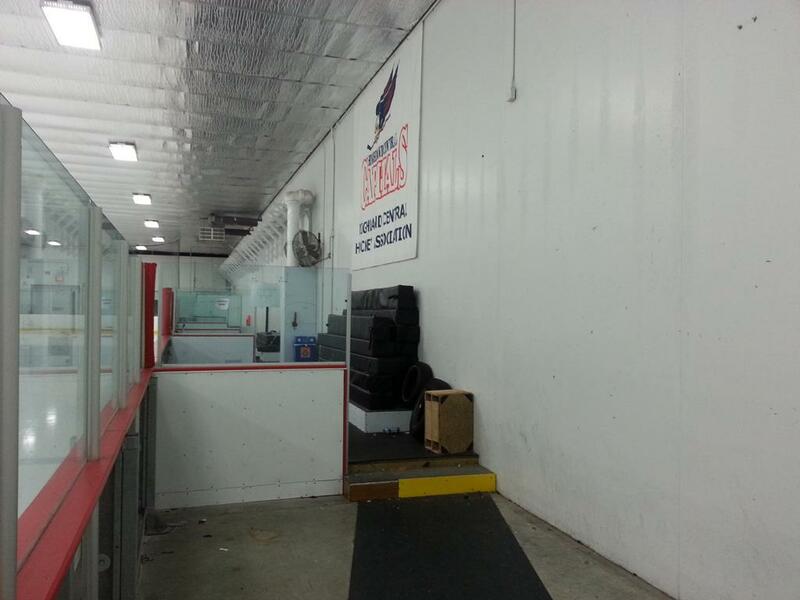 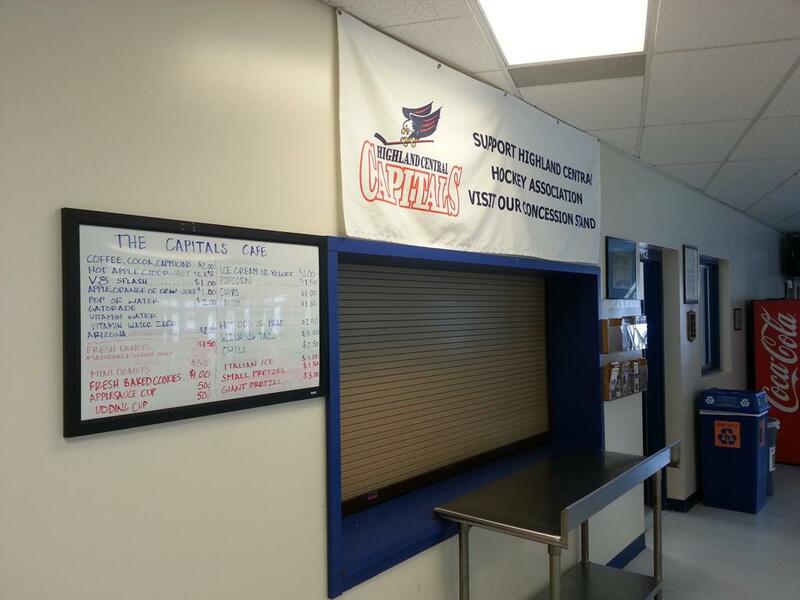 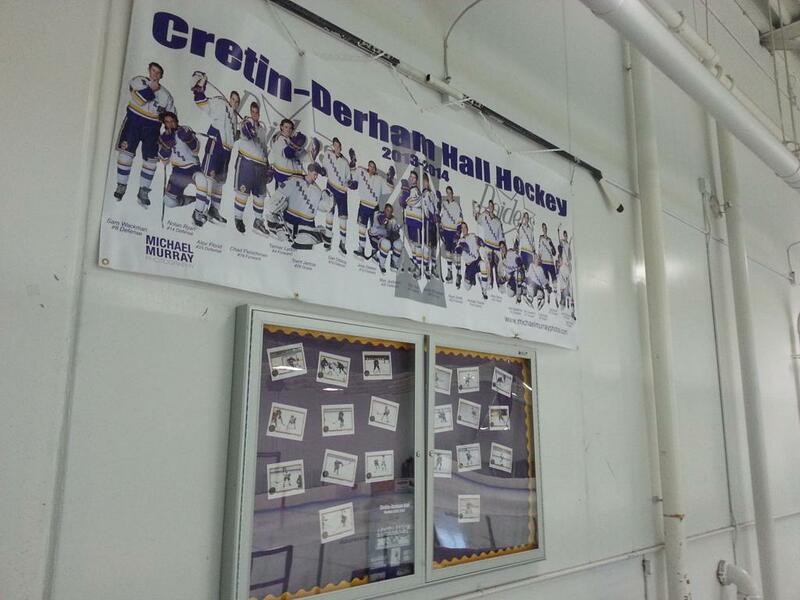 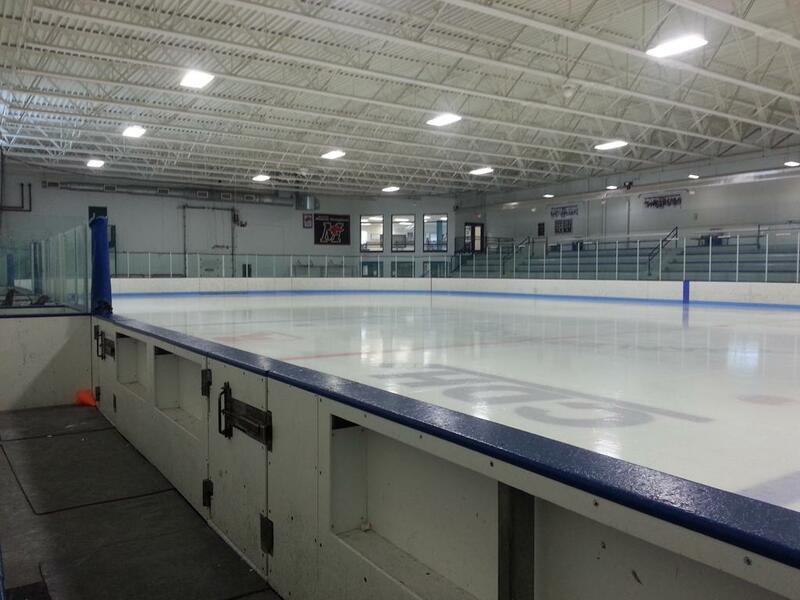 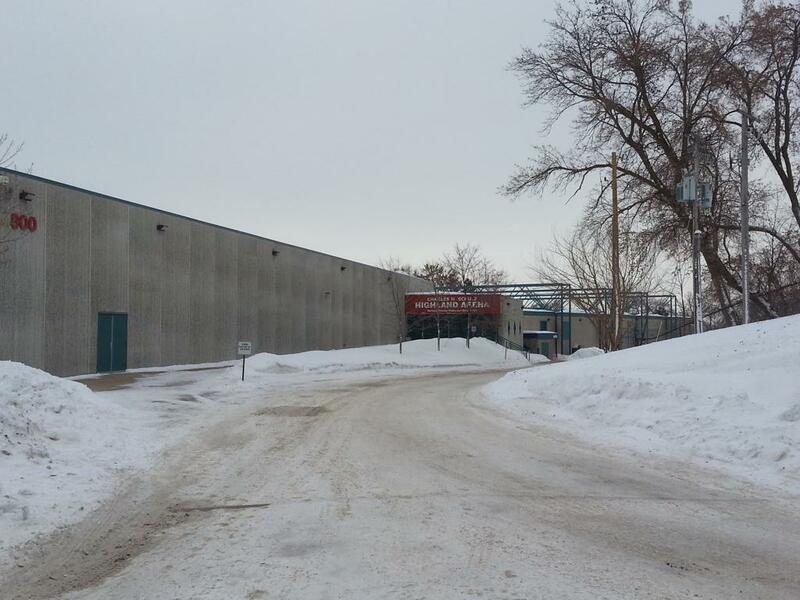 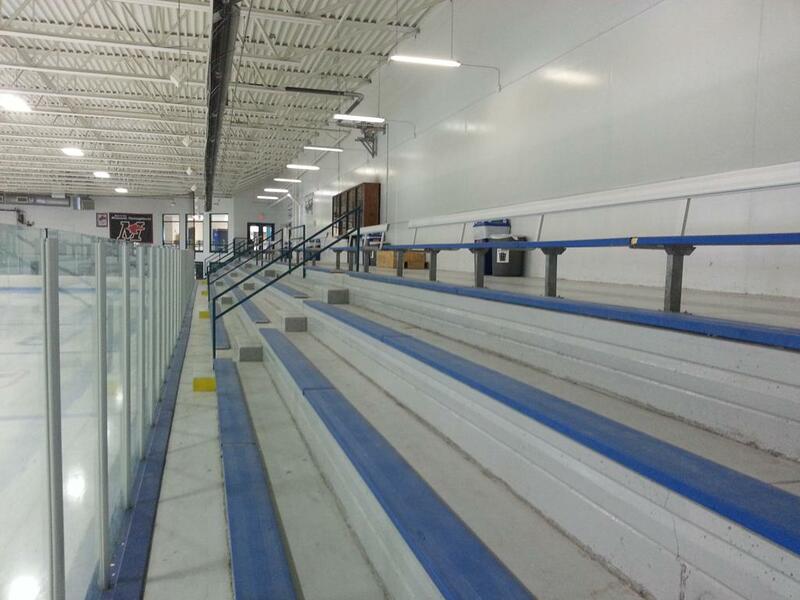 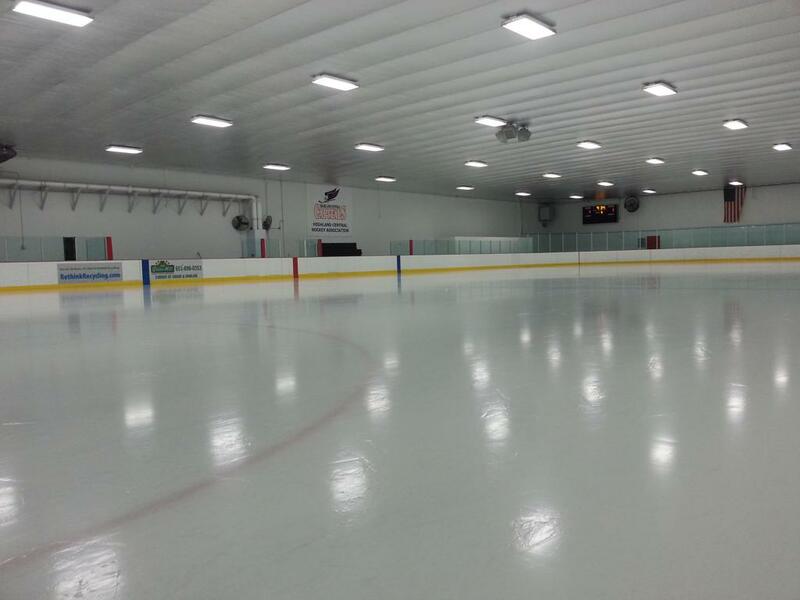 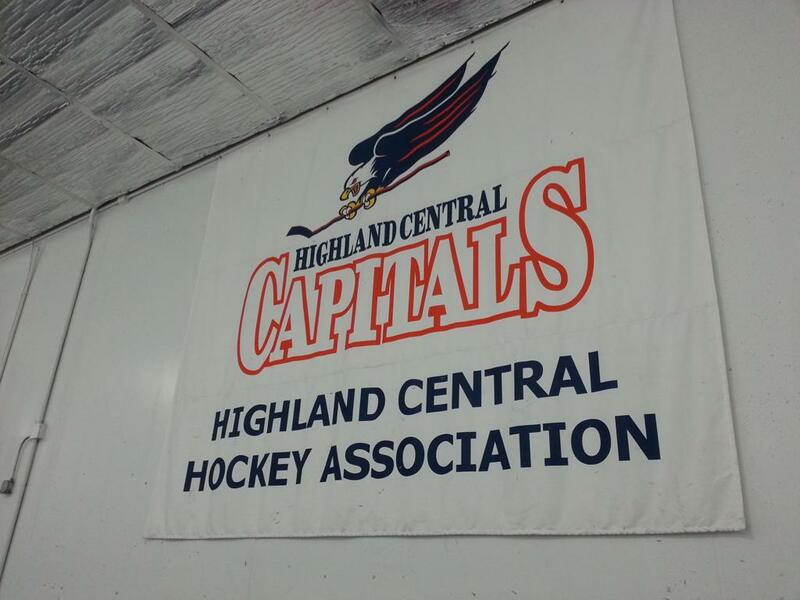 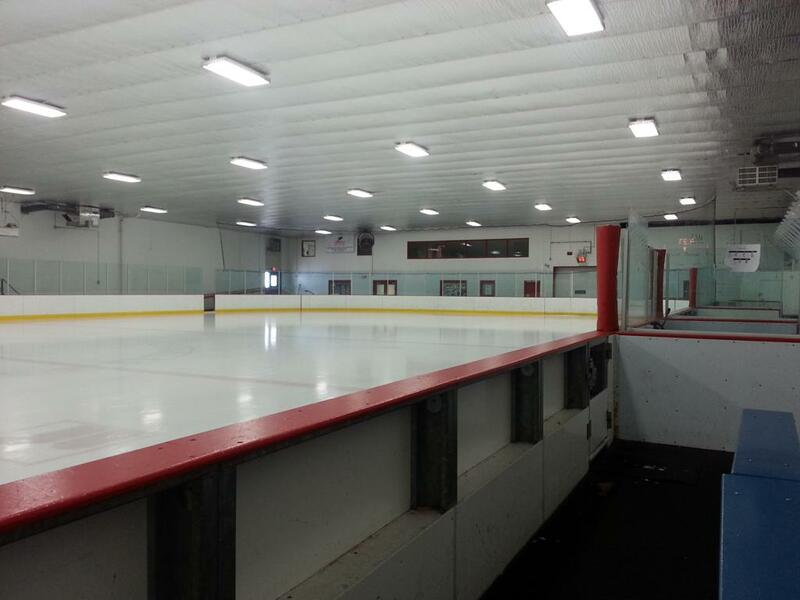 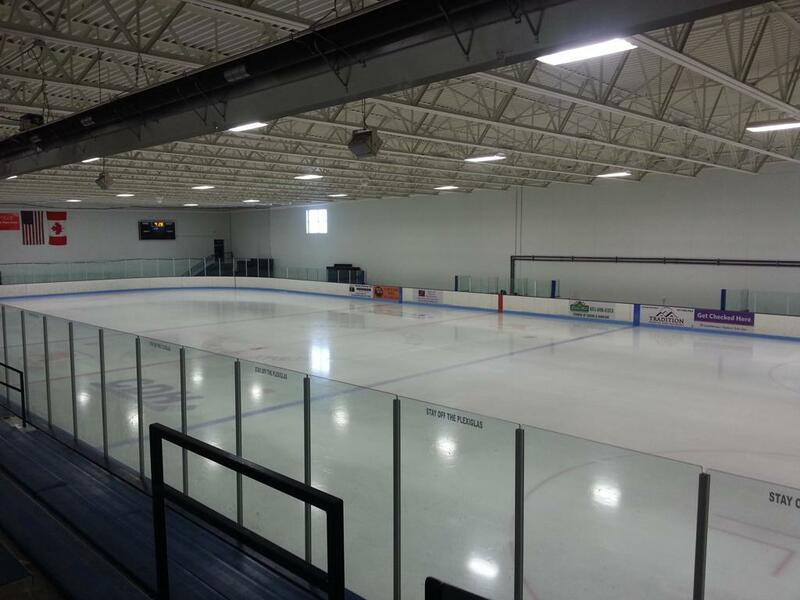 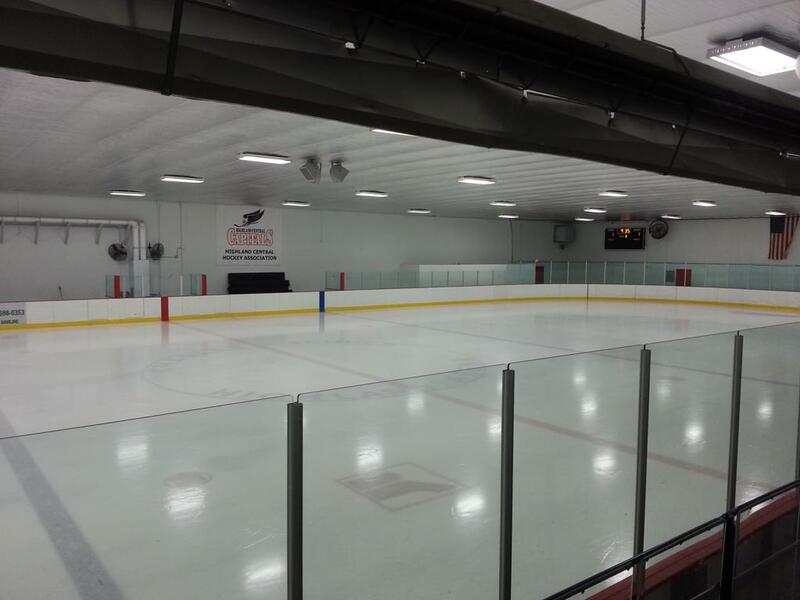 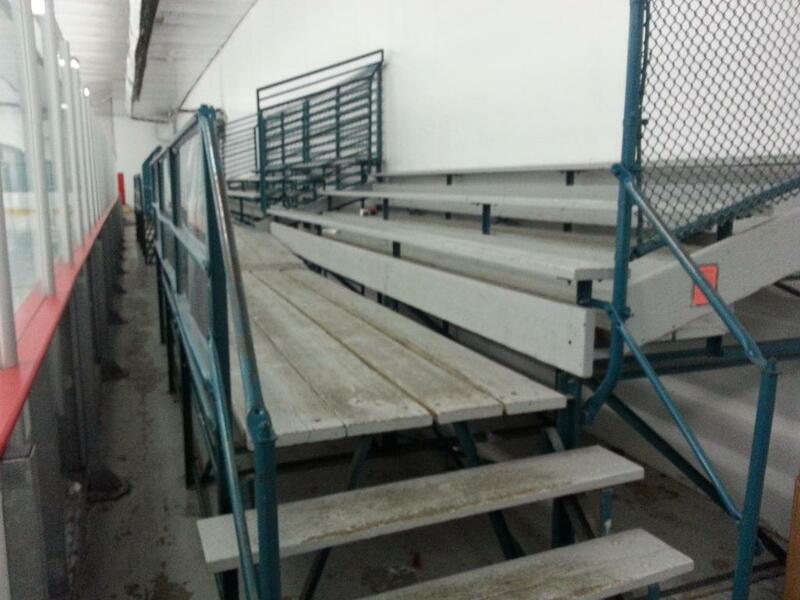 The original south arena has seating for 610 spectators, where-as the larger and newer north rink boasts seating for 1440, and is the home arena to the historic Cretin-Derham Hall Raiders and Highland Capitals hockey programs. 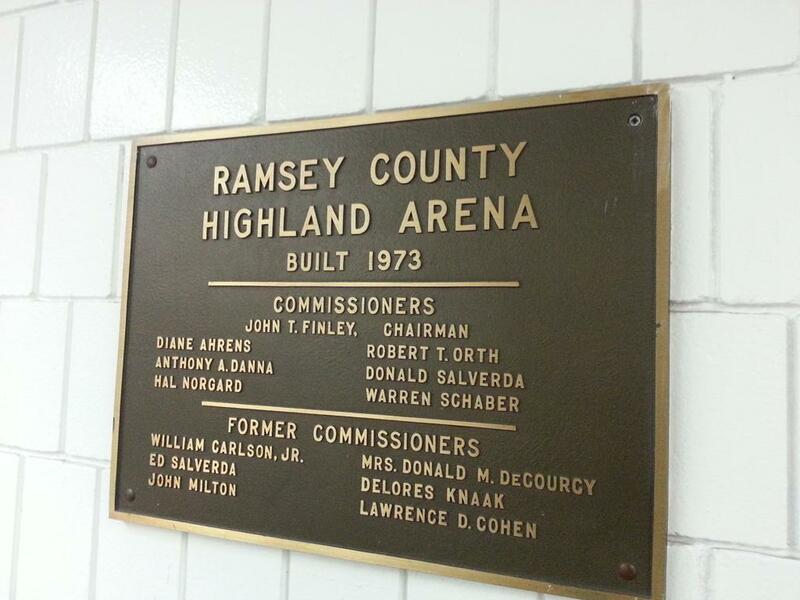 Outwardly, the original south rink shares the same design as Ken Yackel, Pleasant, White Bear and Biff Adams Arenas- all erected within Ramsey County during the 1970's.